All children are signed in and out of the Centre, daily by the parent or nominated caregiver. For your child’s protection, teachers are instructed to only permit children to leave the centre with those persons nominated by you on the enrolment form. If someone else is picking up your child please note it in the “Comments” column of the Signing In/Out sheet or ring to inform us of any changes. It is very important that parents sign the Signing In/Out sheet as this is used frequently to check your child is present on the Roll in the event of an emergency. Please notify the centre if your child is unwell or unable to attend by 8am on the day or the day before. There is an Answer Machine service if you ring out of hours. It is important that children are not sent to the Centre if ill, or with a contagious or a notifiable disease (eg. conjunctivitis, measles, chicken pox, head lice etc) as we are unable to accept them (this being in compliance with Ministry of Education Regulations and Infectious and Notifiable Diseases Regulations 1996). The Head Teacher does have the right to refuse a child who may be infectious to other children and staff. This is necessary for the well being of all the children at the Centre. If your child becomes unwell during the day, we will contact you or your emergency contact to come and collect him/her immediately. In stating this, we do acknowledge the difficulties this can cause to families but the Centre is not a place for sick children. If your child requires urgent medical attention, the Ambulance/Doctor will be contacted and parents will be informed. All costs incurred are the parents’ responsibility. Our teachers hold a current First Aid Certificate and we have a First Aid Kit for minor injuries. Any accident occurring at the Centre is recorded on an Accident Form. We will give a copy to you. Please read our Health Policy. The Centre must be advised two weeks in advance that your child will be away on holiday. Please use the ‘Holiday Notification Form’. Holiday fees for Under 3 year olds: we will charge full fees for each week of the holiday to ensure your place at Cornerstone Christian Early Learning Centre is kept open. Holiday fees for children receiving 20 Hours ECE (3-5 year olds): Please note that the Ministry of Education will fund this for the first three weeks of absence only. On the fourth week ECE funding stops and Cornerstone will charge full fees for that week and any following week/s to ensure your place at Cornerstone Christian Early Learning Centre is kept open. Medications are the parents/caregivers responsibility. All medications being taken by children must be taken out of your child’s bag and handed to a teacher to enable them to put the medication in a safe place. Administration of medication to your child can only be made on written instruction from the parent/caregiver. This is to be done in the Medication Book. Be placed in a named container or bag with a syringe or measuring spoon in it. This is for hygiene and identification reasons. Before every meal we sing or say a thank you to God for our food. Please provide your child’s lunch in a named container. The Centre provides water and we have plenty of spoons and cups so you won’t need to pack any of these things. It is really helpful to have a water bottle for your child, especially in the summer so that they can access it easily. To help your child become more independent pre-cut fruit is handy and having food packed with user-friendly packaging is helpful. Teachers can assist when needed. Due to so many different food allergies please encourage your child not to share food with others. Our Centre promotes healthy eating and living. Therefore chocolates and sweets are not acceptable, please leave these at home as a treat. Please inform the Head Teacher/ Management if there are any problems, which may be affecting you or your child. Our teachers, who will make every effort to support you as needed, treat all information in confidence. Cornerstone’s Communicating your Concerns Pamphlet is in the foyer. Please supply enough nappies for the sessions your child is attending. Nappies are checked at regular intervals throughout the day and changed as necessary. These checks are noted on the “Nappy Chart” sheet at the entrance of the children’s bathroom. Please feel free to look at this sheet. We do not have the appropriate facilities for cloth nappies, so please provide disposables while your child is here. We provide wipes. Please inform us if your child is toilet training or needs to be reminded to go to the toilet. As much as possible we will reinforce what routine you have at home. Please remember that we are toileting a lot of children. If you want your child to begin their toilet training, it is much easier for them to be wearing Pull-Ups. This encourages them to be independent with their own clothing etc. Please dress your child in appropriate clothing for messy, active play. A spare set of named clothing is essential. It is good to have appropriate clothing for the winter and summer months. We would appreciate the return of any clothing lent to your child due to accidents. We provide Cancer Society Sun Block. If you would prefer your child to use their own, please provide this. We understand if your child needs to bring a comfort toy to help settle them into their day at the Centre. If your child brings a toy to show their friends, we will encourage them to place it in their bag to keep it safe. Toys that get broken or lost are not the responsibility of the Centre. This book is your child’s own record of the learning which takes place during his/her time at Cornerstone. Our curriculum at Cornerstone is based on God’s Word, incorporating the principles of Te Whaariki, (New Zealand’s National Early Childhood Curriculum). Our method of assessing your child’s learning is based on Learning Stories. How we will respond, how we will extend this learning and plan for future development. 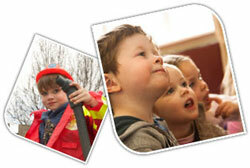 Our aim is to record significant events during your child’s time here at Cornerstone. These will differ from child to child, according to their strengths and interests. Learning Stories are written in the narrative form, which means that they are written as the teacher has perceived the event through their own eyes, and recorded as such. From this, the teacher is also able to understand and evaluate the disposition the child has developed through his/her learning experience. Quantity of content in children’s individual books will vary depending on the number of sessions per week that they attend, e.g. a child who attends every session will naturally have a fuller book than a child who attends one or two sessions per week. Learning Stories can be an individual event or part of a group activity. Special events that occur in your child’s life e.g. birthdays will also feature in this book. Please feel free to talk to us at any time about your child’s learning and development as we aim to foster a strong relationship between home and Cornerstone. We encourage you to become involved in your child’s learning by sharing information with us. We provide a “Parent’s Voice” sheet for you to document any learning occurring at home, which would be helpful for us to know at Cornerstone. If you take your child’s Profile Book home to fill out, please return it soon after as we constantly update them.